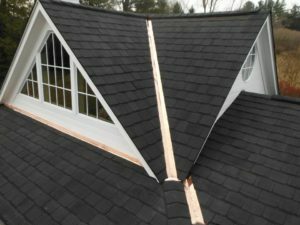 Hiring the right roofing contractors to repair or replace the roof on your Lutherville area home is one of the most important decisions you can possibly make for your residence. Hiring a company that is experienced and well-rounded versus a fly-by-night contractor can make all the difference. That’s why you should turn to Roland Slate Service Company. We have over 25 years of experience and specialize in all types of roofing. Our excellence and integrity over the years have earned us an A+ rating with the Better Business Bureau and many industry awards and accolades. And, no matter what style or material you choose, it will be backed by a lifetime material warranty along with a labor warranty that covers all the work our talented technicians perform during installation. For more information on what makes us the roofing contractors of choice in the Lutherville area, contact Roland Slate Service today.